Happy First Day of Fall! I'm six weeks into the school year and I'm still in denial that the wonderful summer is over. I will admit though, the cooler weather is making the end of summery days just a little bit easier. 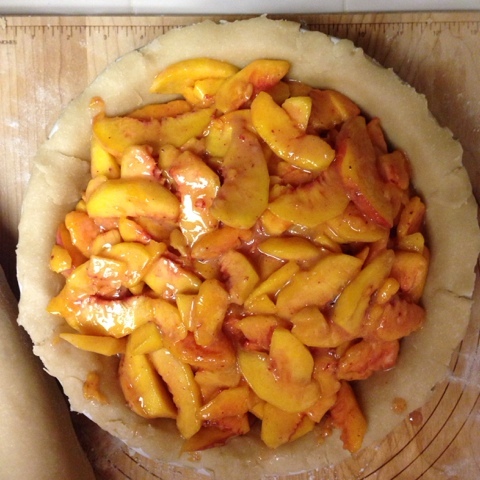 As a sort of last ode to summer I thought I'd do one of the most summery things I could think of: bake a peach pie!. 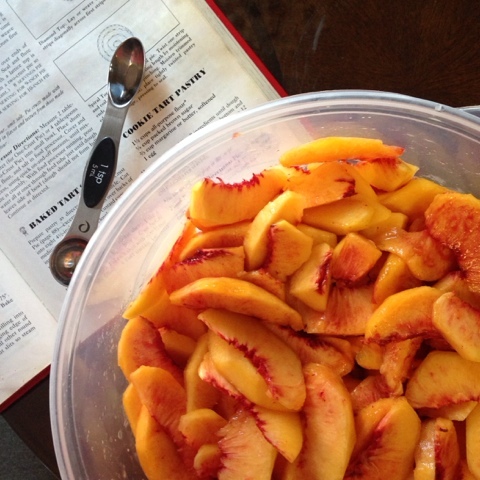 A family friend and fellow blogger, Paula Bicknell, grows the most delicious peaches in her family's orchard, so when I picked some up at the farmers market, I couldn't help but share this special recipe. My family has been using this same recipe for as long as I can remember. The beat up and torn cook book I use was actually a wedding present to my parents, but you can also find the same recipe here! 2. In a large bowl, mix 2/3 cup sugar, 1/3 cup all-purpose flour, and 1/4 teaspoon ground cinnamon. 3. Stir in 5 cups fresh sliced peaches and 1 teaspoon lemon juice. 4. 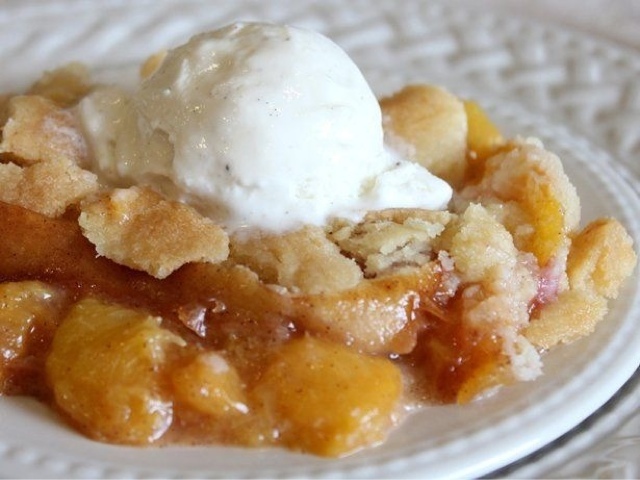 Spoon peach mixture into crust. (This is the crust recipe I used). 5. 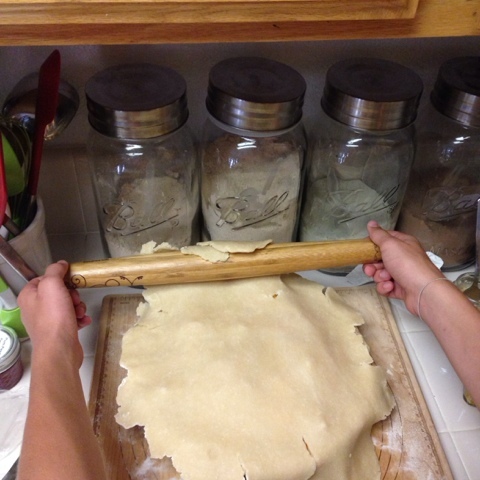 Roll second crust over the top of filled pie. 6. 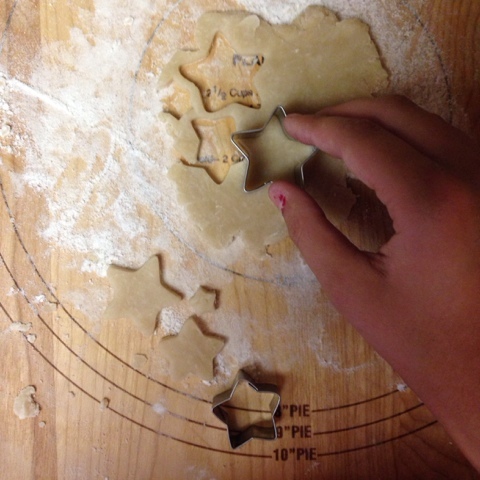 (Optional) Use excess pie crust to cut out designs. Place on top of crust. 7. 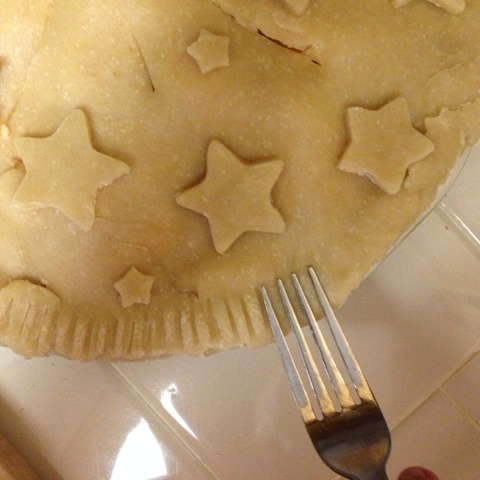 Crimp the edges together with a fork and cut slits in top crust. 8. Cover the edge of crust with foil strips. 10. Let cool for about 2 hours. 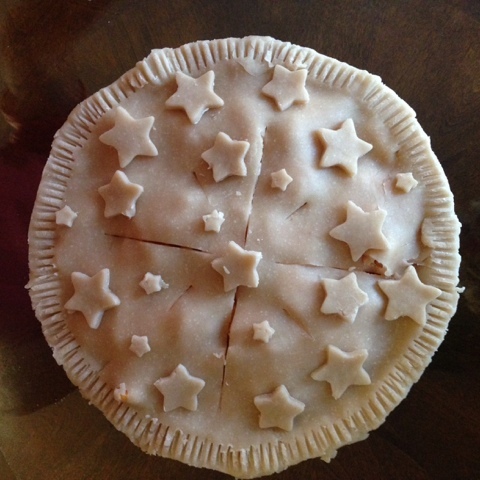 I didn't wait for my pie to cool completely, so it kind of fell apart when I tried to serve it. But no worries, a scoop of ice cream on top solved that problem! It turned out deliciously and was my perfect "farewell" to summer. Happy baking!